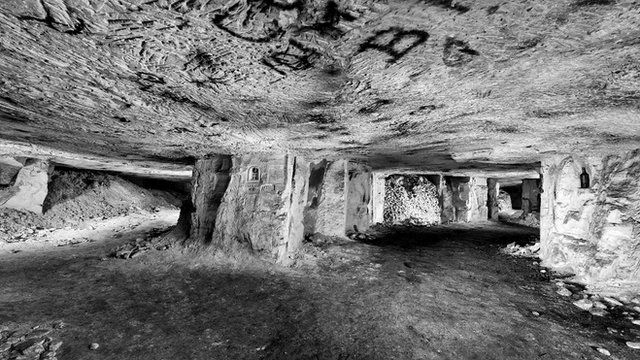 The hidden art of war underground Jump to media player An American photographer has documented the striking works of art left behind by soldiers who spent WWI in underground caverns. One hundred years ago the early battles of World War One were ending, and on the Western Front armies on both sides were digging in at the start of three and a half years of trench warfare. But while many soldiers were forced to endure the squalor of the trenches, others were luckier, spending their time in underground caverns. And they left behind not just equipment and graffiti but also some striking works of art. Now an American photographer has documented the hidden world of this underground war.